Tayler-Najae Townsend aka Najaesbeats, is a self taught musician who picked up her first guitar at 7 years old and has been making music ever since. At an early age she started experimenting with various instruments such as the piano/keyboard (shout-out to Page One), the drums (shoutout to Rain City Rock Camp For Girls) and then, for her 12th bday, Najae was given her first 8 track (shout to B-self from Ghetto Children). 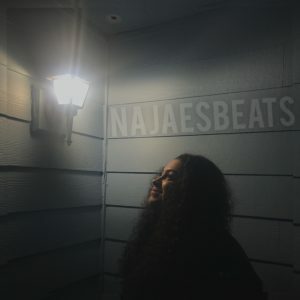 Then later on at the age of 16, Najaesbeats established a YouTube channel showcasing her first years of beat making and quickly gained a following. Fast forward to 2018 where Najaesbeats was honored to be the first female, to win the 7th annual Beat Masters Beat Battle. She continues to own her craft and is seeking opportunities to collaborate with other artists.